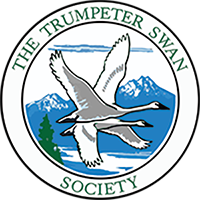 The 22nd Biennial Conference of The Trumpeter Swan Society (TTSS) will be held at the Polson, Montana, United States, on October 11-14, 2011. The biennial conferences of TTSS provide the only public forum in North America that brings together private citizens and conservation groups, policy makers, swan managers, and researchers to examine the status and needs of Trumpeter Swans in the U.S. and Canada and to work together to make all populations secure. The 22nd Conference will focus on both the successes and challenges involved with long-term management of trumpeter swans. Special attention will also be given to be the status, management, and conservation of Trumpeter Swans in the Pacific Flyway. Presentations will examine the restoration accomplishments and lessons learned and discuss the future challenges to Trumpeter Swan conservation. In addition, the Conference will include sessions on the biology, habitat concerns, and management of Trumpeter Swan populations throughout North America. Papers and posters on the biology and management of Tundra Swans and Mute Swans or their interactions with Trumpeter Swans are also invited. We strongly encourage private partners, agency managers, and biologists involved in Trumpeter Swan restoration, management, and research to participate. If you are interested in making a presentation at the 21st Conference, please contact John Cornely at johncornely@msn.com (303-933-9861), Dale Becker (daleb@cskt.org), or Ruth Shea (rshea@trumpeterswansociety.org) for additional information, including presentation guidelines and submission dates.